Percepta is dedicated to digital. We recognize the importance – and the measureable value – of engaging with customers, both existing and potential, on their favorite online channels. And for those using Social Media platforms, this contact also has to be quick. 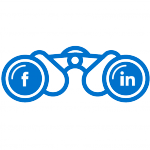 Our Social Media Search and Rescue (SR) solution is designed to deliver all three – we give our Clients a social voice with which to engage with their customers. Adopted in multiple markets across the globe for our volume automotive Client, our SR teams reach out to proactively connect with customers across a wide range of social networks (Facebook, Twitter, WeChat etc.) to offer help, assistance or advice. Launched in 2012, our SR team delivers dedicated, proactive customer support across Facebook, Twitter and YouTube on behalf of our automotive Client in the UK. Our digital experts reach out and bring customers into the brand; those looking for help with a concern, or just a little advice. We aim to do this quickly, and understand that time moves a lot faster on social media! 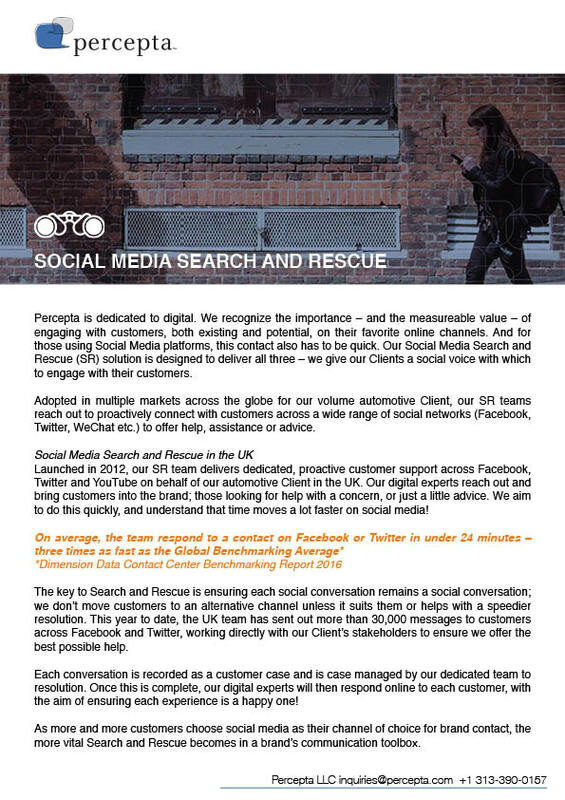 The key to Search and Rescue is ensuring each social conversation remains a social conversation; we don’t move customers to an alternative channel unless it suits them or helps with a speedier resolution. This year to date, the UK team has sent out more than 30,000 messages to customers across Facebook and Twitter, working directly with our Client’s stakeholders to ensure we offer the best possible help. Each conversation is recorded as a customer case and is case managed by our dedicated team to resolution. Once this is complete, our digital experts will then respond online to each customer, with the aim of ensuring each experience is a happy one! As more and more customers choose social media as their channel of choice for brand contact, the more vital Search and Rescue becomes in a brand’s communication toolbox.